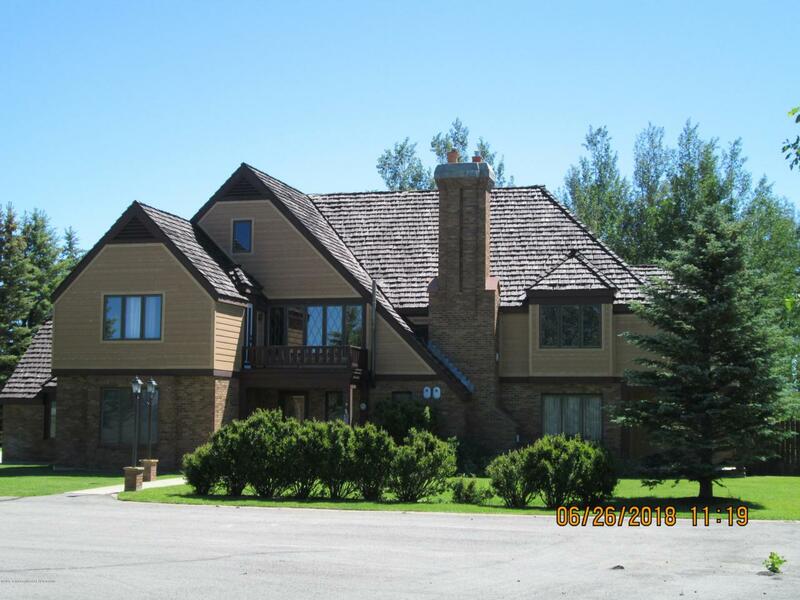 This in an incredible opportunity to own an elite home right here in Pinedale. A pleasant diversity of the architectural upgrades and elegant features await you in this custom home with only a single previous owner. Classic touches exude charm and the newly updated kitchen and baths give it a modern edge. The kitchen features top of the line appliances that are unique and practical like a WOLF industrial stove and combo ovens, a double Fisher & Paykel dishwasher, and a SHARP easy-open microwave drawer. The spacious area has other assets such as large granite counter tops and an open wall/bar area to dining room making this a perfect setting for entertaining family and friends for years to come. There is a warm, welcoming atmosphere in the breakfast room and it is large enough to accommodata large family or an extended group. The living room opens into the kitchen and has vaulted ceilings providing it with a bearing all it's own. Emerging from the grand foyer is a staircase that is open and airy and looks into the living room preventing this gem of a home from developing the feeling disjointedness that some larger homes suffer from. There are 3 gas fireplaces in the home, so there is always a place curl-up in the winter. The master suite is a one of a kind that is sure to have what you desire: A workout room with a fully mirrored wall connects to the master bath which is completed by a sauna, jet tub, walk in shower with multiple heads and water sources and his & her sinks. 4 more bedrooms and 3 more baths are included in this 3 story, ornate home. Outside is fully landscaped, including a stunning patio oasis with a classical fountain tinkling musically and varied species of mature trees that ensure quiet privacy. This property is consummated by a garden building with well and sprinkler system controls, a full blacktop circular drive and a fragrant, quaintly shaded bench area. Come see see for yourself, your future home awaits!